We get most of our news from our apps. We know that, news media knows that. That’s why everyone has an app these days and some of them are niche. Just like Crypto News app, the app that focuses on nothing but the ups and downs of cryptocurrency. Regardless of what type of cryptocurrency you’re into, they do work in a market. Just like stocks, they go up and down (hopefully more up than down though) and for people who are seriously about that crypto life, they will want to stay on top of what’s going on. This app gives you all the news and information you need to do so. 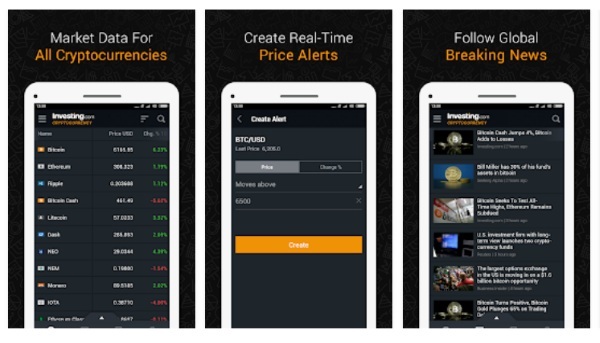 This includes real time price alerts, breaking news, and the market data for all cryptocurrencies currently making moves out there. Bitcoin is the most famous but there are a ton of them and they’re not jokes. You can download the app for free through the Play store.